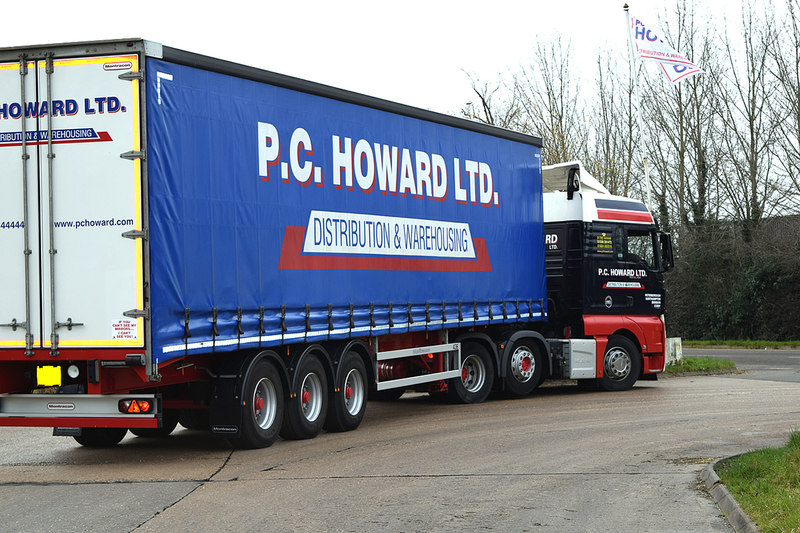 When it comes to distribution, PC Howard is one of the best known UK operators with experience spanning three family generations. Tie this in with our warehousing services and our customers are able to receive a scalable and effective third party distribution solution to store and distribute freight both in the United Kingdom and throughout Europe. Find out more about our distribution services including details of our fleet, our depots and the systems and services we put in place to offer a comprehensive logsitics solution for our customers. Our fleet is modern and well maintained including 100 vehicles and 150 trailers. We have depots at Peterborough, Corby, Northampton and Swindon and offer deidcated warehousing. Our distribution services add value to our existing fleet and warehousing assets. We back up the entire distribution service with modern transport systems for added efficiency.